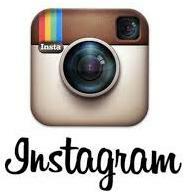 Feedback: 36 comments - leave yours! Gougères [goozhair] are savory pastries from Burgundy (France), traditionally made with Gruyère, the king of Swiss cheeses. For the French to use imported cheese is praise from Caesar indeed. Go for a salted 24month Gruyère d'alpage if you can, a seasoned Comté or substitute with aged Parmesan if you must. 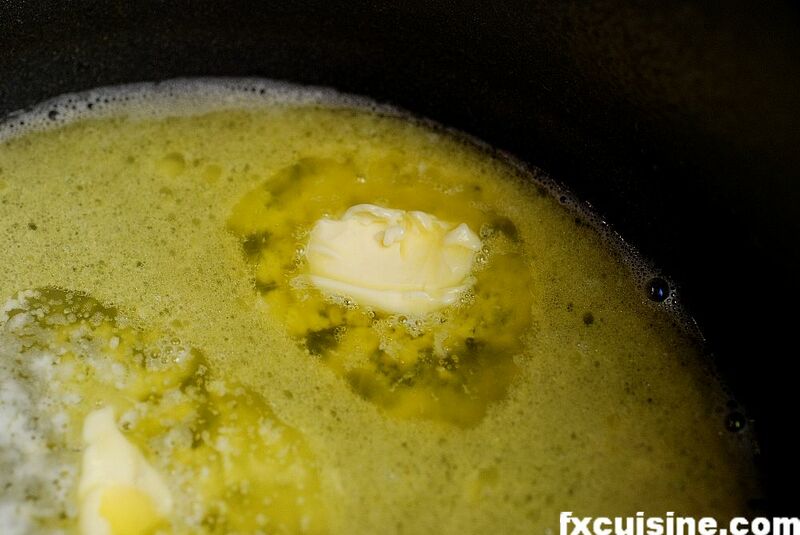 Heat the water, butter and a pinch of salt in a saucepan. 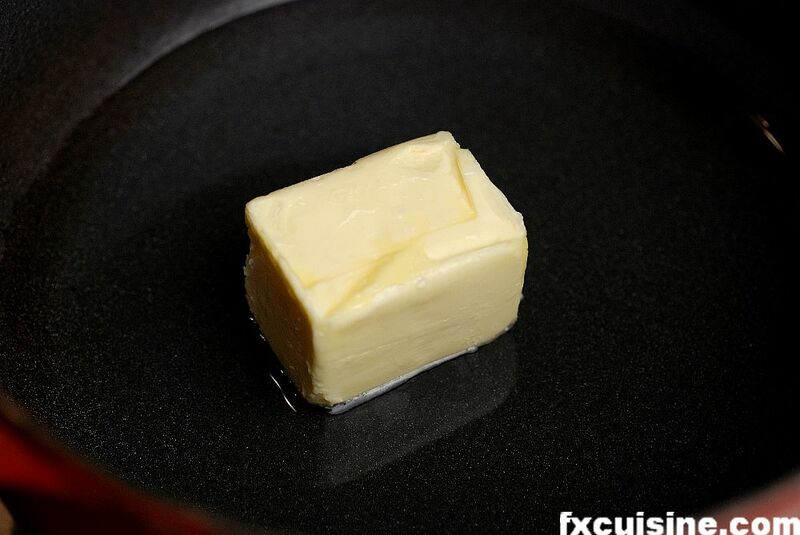 When the butter has fully melted, whip until you get a homogeneous liquid. 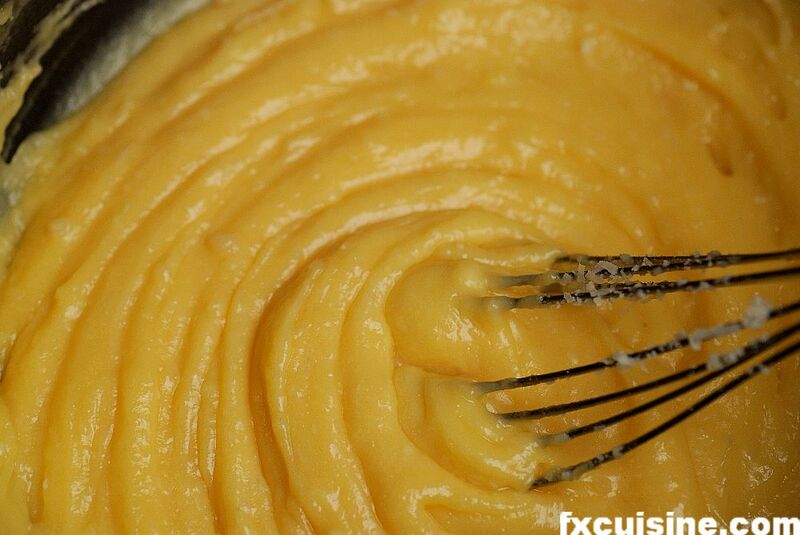 Put the flour in a bowl and take in one hand while you have the whip in the other. 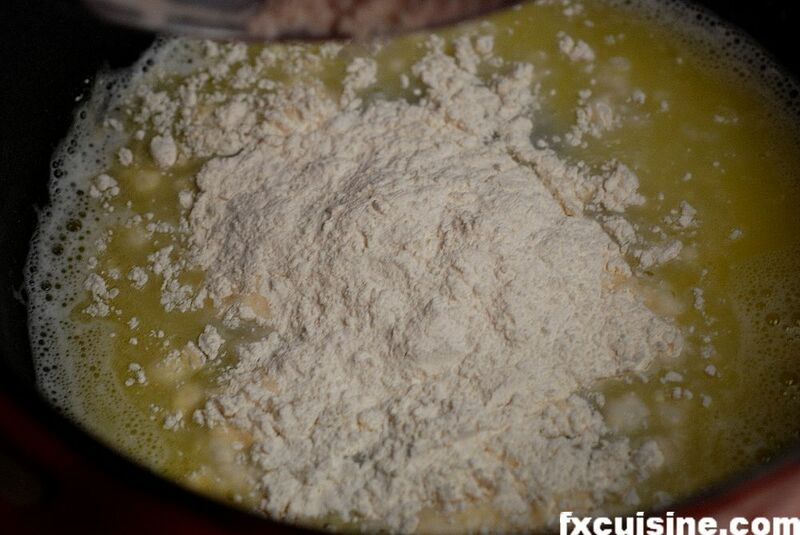 Put all of the flour into the saucepan in one go and mix vigorously with the whip. Be very quick or you won't be able to mix all of the flour in. 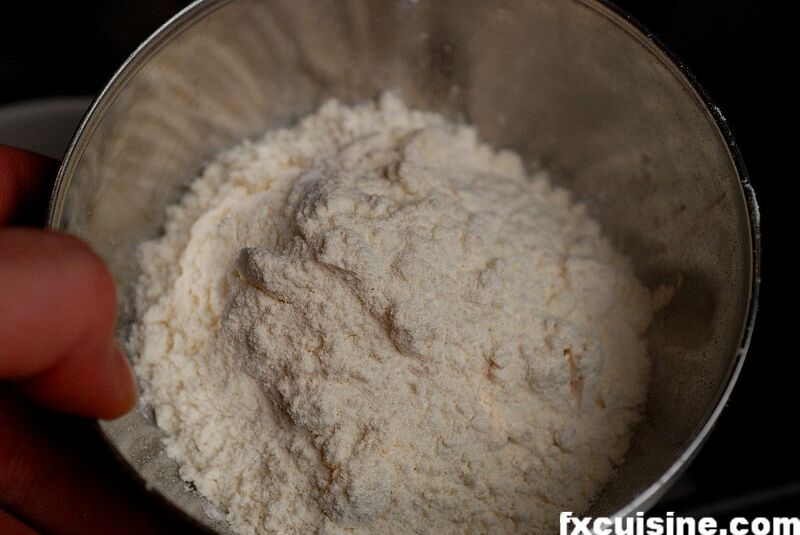 Whip the mixture like a devil so that the flour is evenly moistened. 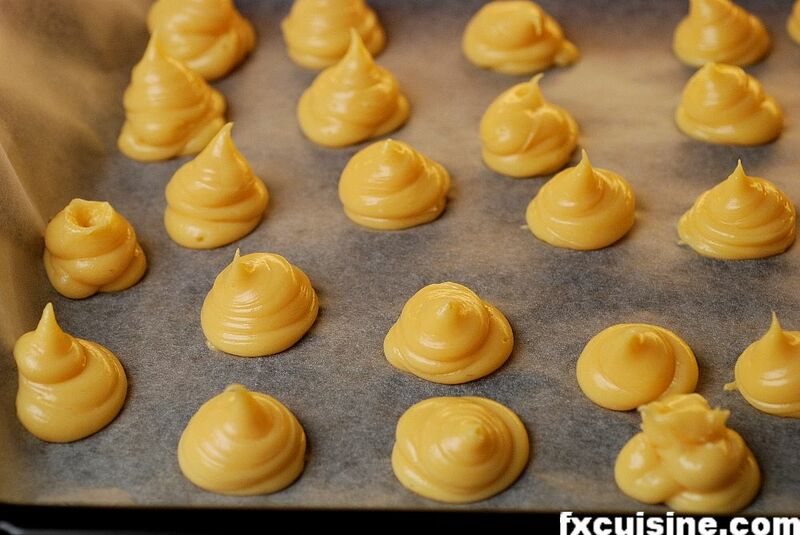 You will obtain a shiny dough called pâte à choux ('cabbage dough'). Heat the dough for 3 more minutes in the saucepan, mixing constantly. 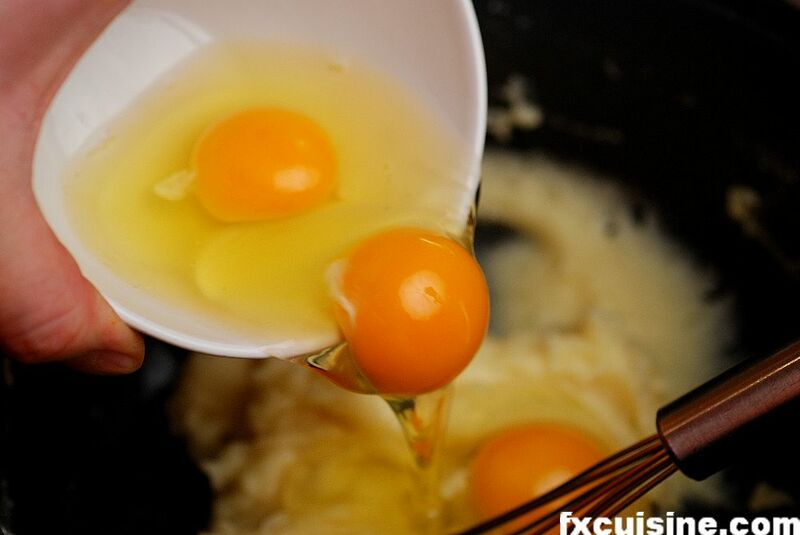 The point is to evaporate some of the water so that the dough will be able to absorb the eggs' moisture without collapsing. Turn the heat off and let cool for a few minutes or pour in a different bowl. 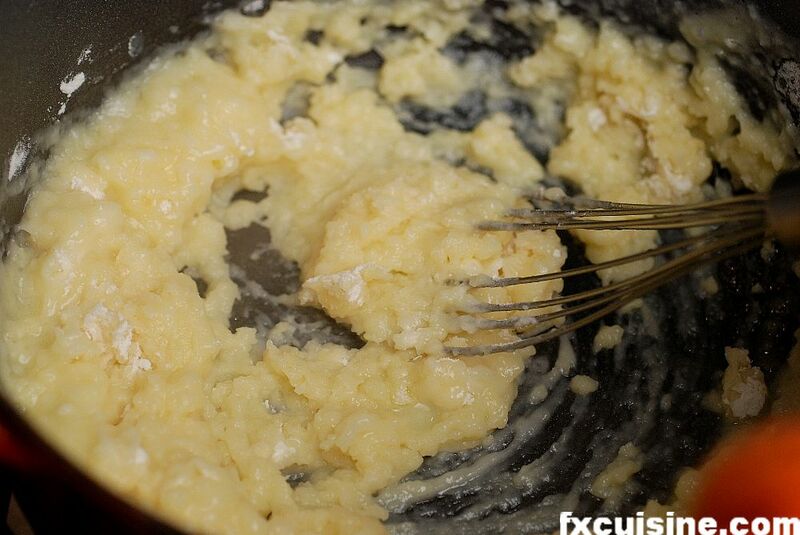 Add the eggs and mix vigorously until you obtain a smooth, fluffy dough. 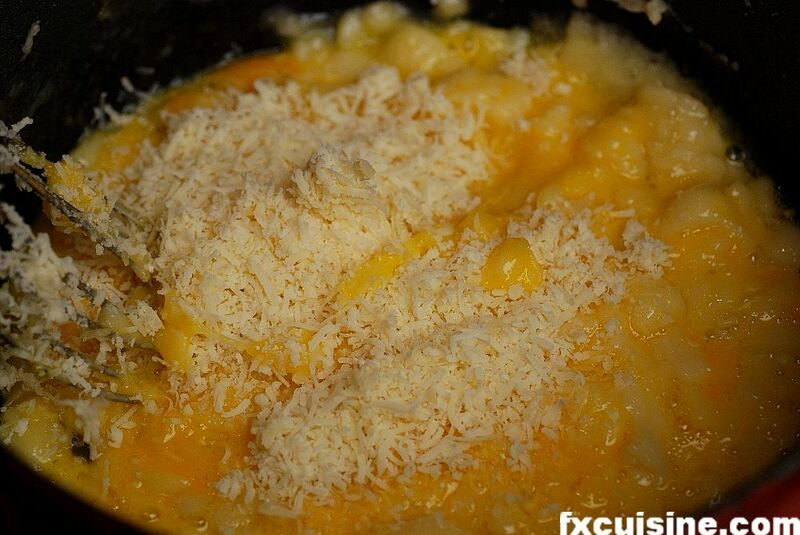 Mix in about 30 gr of the cheese. Proceed with caution if you add more cheese. More cheese is better but too much will make your dough collapse and your gougères will look like pancakes rather than balloons. You can add a small crushed garlic clove at this stage although this is not tradition-approved. 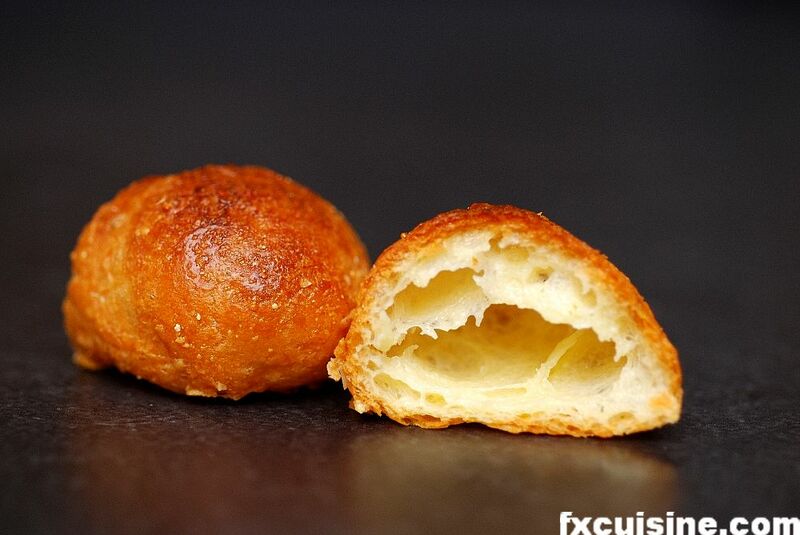 For successful gougères it is very important that you beat in as many tiny air bubbles as you can. Use an electric beater if you can. The air you introduce at this stage is the reason gougères will rise, by helping the water turn into steam and inflate the dough. No air means flat gougères. Heat oven to 200°C and place oiled parchment paper on a baking tray. Using a pastry bag, pipe the gougère dough into small, regular, evenly spaced little mounds. Doing is with a spoon calls for more dexterity than I have. I found smaller gougères to be more popular with my guests. 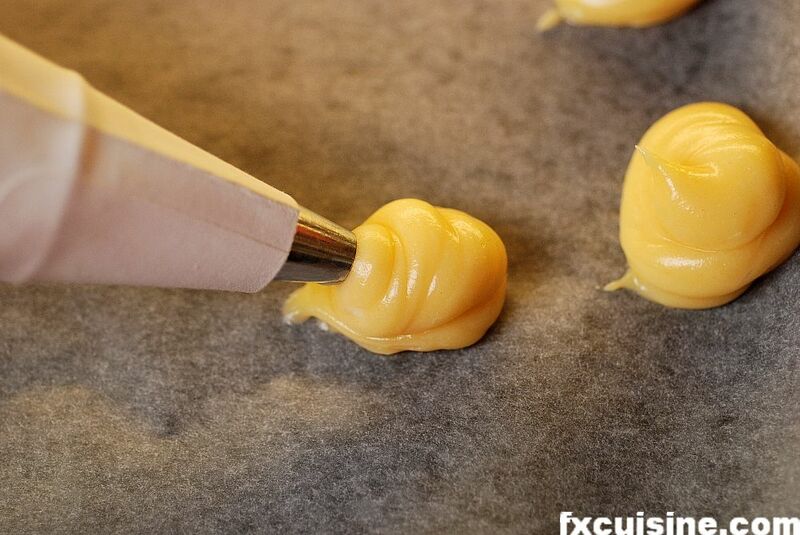 If the gougères are too close to each other, they will stick together when inflating. 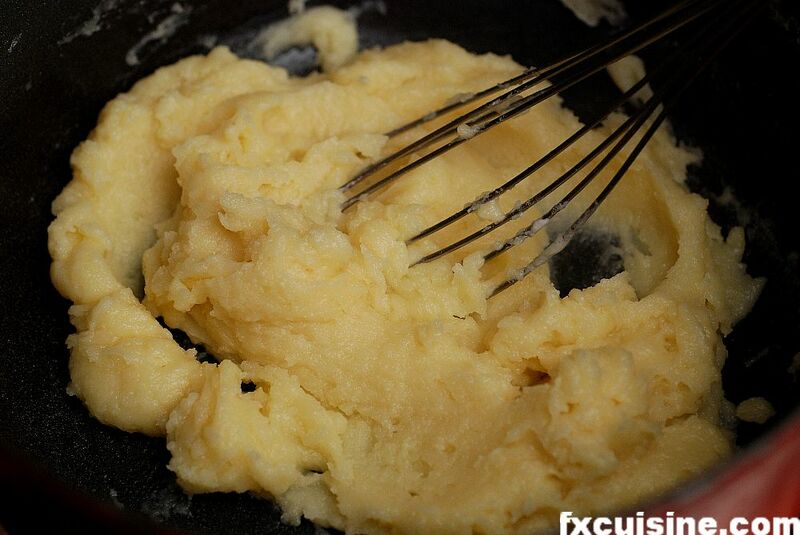 On these pictures the dough is nicely fluffy and well aerated and retains its shape well. Maybe you don't get this result the first time you try. If your dough is liquid, keep the chin up and think about the next batch you'll make. Most probably you'll get compliments for your gougères anyway, it's just that they could have been better.